Koforidua Technical University (KTU) is officially the first team to qualify to the quarterfinals of the 2019 Universities, Polytechnics and Colleges (UPAC) Basketball Championship. The team did so by winning Zone One in this year's tournament. The 2019 edition of Ghana's biggest tertiary basketball tournament commenced on Saturday, March 2 at the Pope John Senior High School and Minor Seminary and KTU's progress got the competition off to a flying start. KTU beat defending zonal champions All Nations University College 36-27 in the opening game before delivering another big win with a 41-36 victory over Wisconsin International University College in the deciding game. All Nations won the past two zonal competitions but had major troubles scoring from the perimeter in the just ended tournament and will miss the quarters after a flat performance that produced no wins and 28-52 loss to Wisconsin. 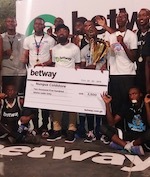 KTU will wait till the seven remaining zonal winners are determined in the coming weeks and drawn into two groups with four teams in each group for the quarterfinals to be staged in Accra later in April. 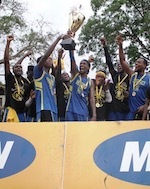 UPAC is Ghana's biggest tertiary basketball tournament and this year's edition is the sixth. Zone 2 games are to be played on Saturday, March 9 in Cape Coast.